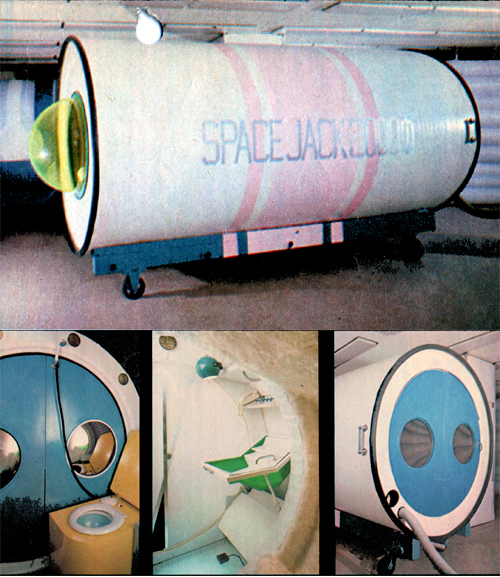 "SPACE JACK" is designed as a living area providing completely free use of cylindrical space. It is 2 meters in diameter and 4 meters long. Neither horizontal flooring nor vertical walls are found in the cylindrical tube. 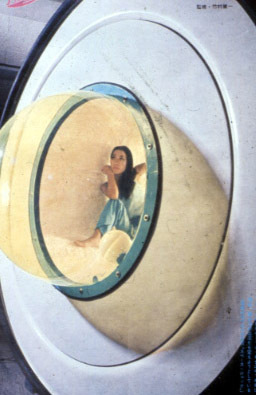 However, as a functional feature to make living in the unit free form inconvenience, an ara which revolves along the curved surface is build in to allow the same space to be used for multiple purposes. 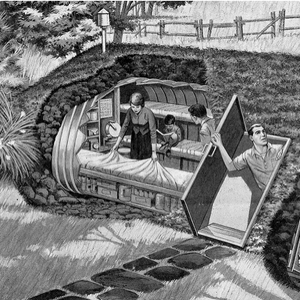 In the case of space ships, the man who is freed from gravity revolves along the wall, but in this case, it is the room that rotates for him. 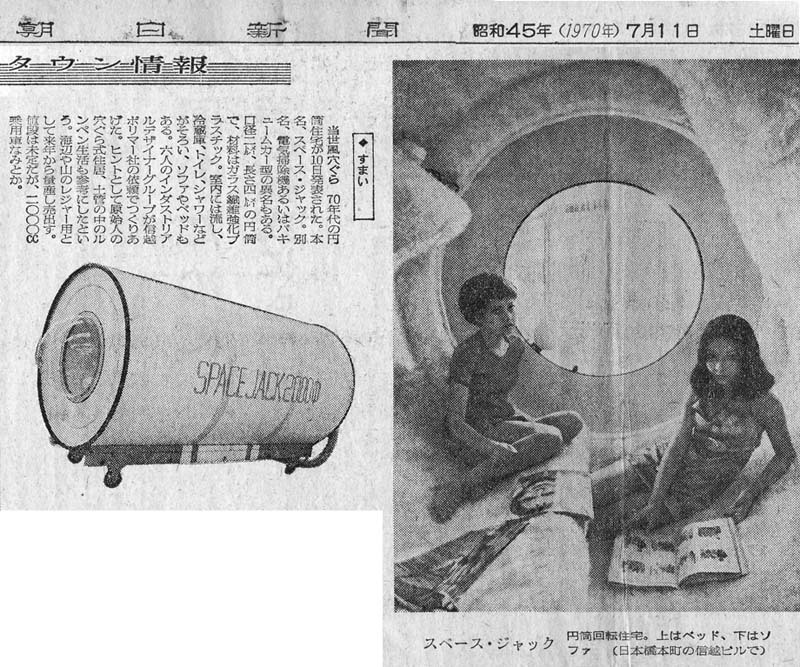 Unlike a box-like space, the cylindrical space provides a completely new and enjoyable living experience. 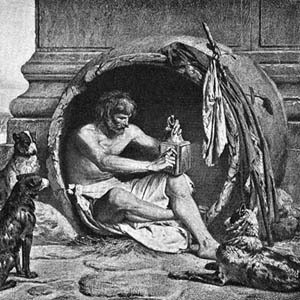 "CHARLEY" is a soft, round den in appearance. Its surface material adhering to the interior and exterior of spherical plyurethane form sphere is in itself the pliant construction material. When "CHARLEY" is inflated it is a globe 1 meters in diameter. When deflated, its mass is reduced to one fourth. The "mouth" takes up 7% of the surface area. By arrangeing this opening to one's choice after entering this den, one can shut off external sounds and views and secure complete privacy. If one wishes to see nothing at all outside, he can turn the "mouth" to the bottom. If one feels sleepy, he can crush "CHARLEY" and sleep on its soft surface. Today, materials have replaced nature in the role of bringing back to man the expansion and experience of human sentiments.